872 Bellerive Place, Washington, MO 63090 (#16053447) :: Hartmann Realtors Inc. Build Your Dream Home Here! Franklin County Country Club Estates is the perfect place if you love to play golf....there's an 18-hole golf course just minutes from your doorstep, with cart path access. Concrete streets, street lights, public utilities, protective covenants and easy access to just about everywhere. 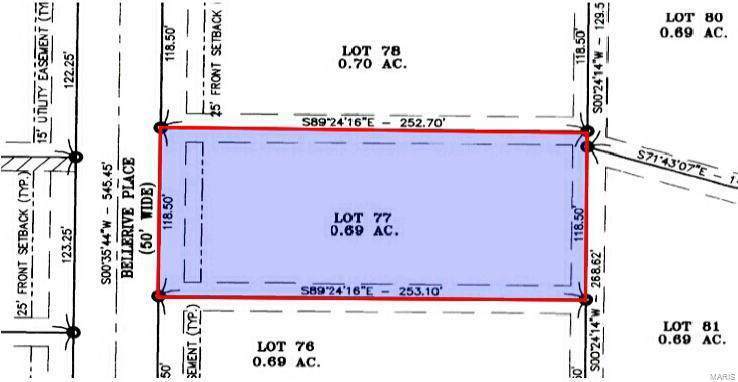 All lots are over 1/2 acre & this lot comes with a 2,500 sq ft minimum for a ranch style. Come take a look today!